Life has its ups and downs. We learn lessons…if we choose. It can be so much easier to stay where it is safe and not take any risks. We can live our life there or we can choose to leave what we think is safe and put all our trust in God. Putting our trust in God does not mean that he removes pain, or take away all the challenges. It means that he will be by your side, comfort your pain, grow who you are and show you what you are capable of through him. It is risky. Making the choice to live for him is not easy. In this episode, I share about my recent personal experience in this exact thing. Making a job change, moving my family half way across the country, without a solid plan all in the name of following the calling that Jesus as placed on my life. It has giving me weeks of lessons learned. We are now settled in our new home and are preparing to take the next steps to start a business alongside my husband. This is what God has called us to do. There will be many more challenges as we move forward. The promise is that he will be by our side and will work all things together for our good. He is a good father. 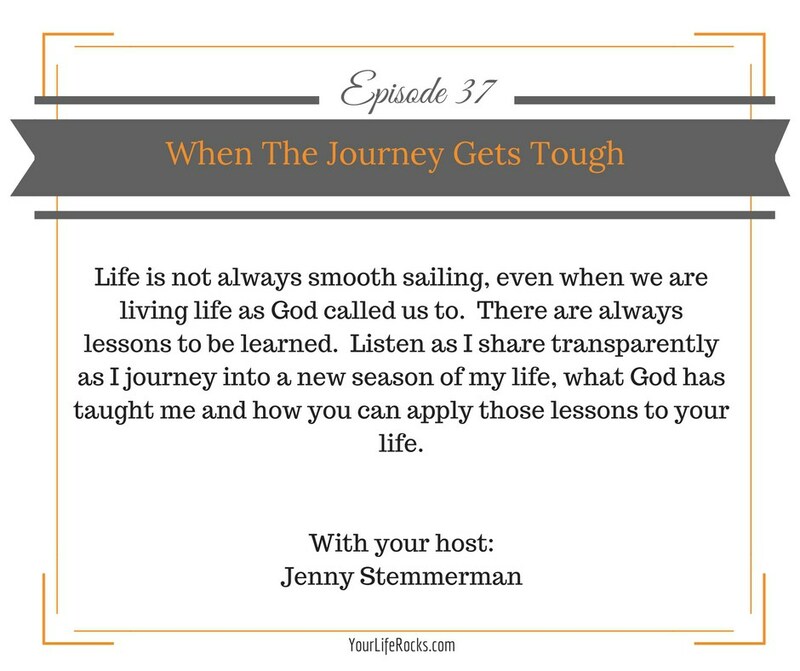 What journey does God have you on? It’s my prayer that God would strengthen you. Give you courage to follow the pull he has put on your heart. When you do, you will learn lessons. It’s my prayer that you would share those lessons with others so that you could multiply the blessings.